We offer a Bachelors BA, Honours BA, International Honours BA, and a variety of minor, major/minor and double major degree programs. We also offer minor programs in Medical Anthropology and Public Anthropology (Advocacy). Anthropology is a discipline that prizes cultural relativity and adaptability. We have a global perspective but insist on analyzing that through the local experiences of people around the world. Studying overseas is an excellent way in which to immerse yourself in a social context that is not your own and to learn the limits of your own cultural point of view. If you are seeking to internationalize your degree you can do so by studying abroad in our iBA (international BA) program, through the York International Internship Program or, by taking our International Field School in Greece. 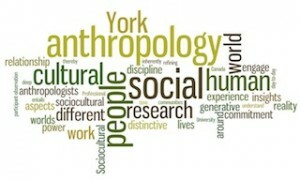 We also offer high impact experiential education opportunities such as our Research Methods course (ANTH 3110 Acquiring Research Skills) and a fourth year work placement study (ANTH 4130 The Professional Anthropologist). These courses provide hands-on skills training that lead to innovative careers. Minor credits: a minimum of 30 credits in the minor, including at least three credits at the 4000-level.